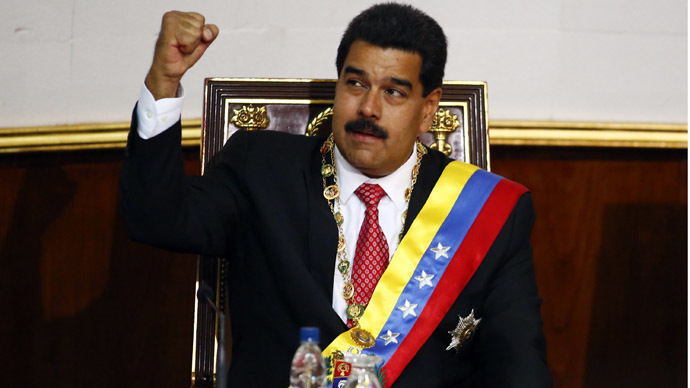 Venezuela’s national assembly has approved granting President Nicolas Maduro special powers to rule by decree in a 99-to-60 vote. The legislation, known as the “Ley Habilitante,” or Enabling Act, would allow Maduro to bypass the country’s top legislative body for a limited time - in this case for a twelve-month period. The national assembly is also able to strip the president of such powers should it vote to do so. 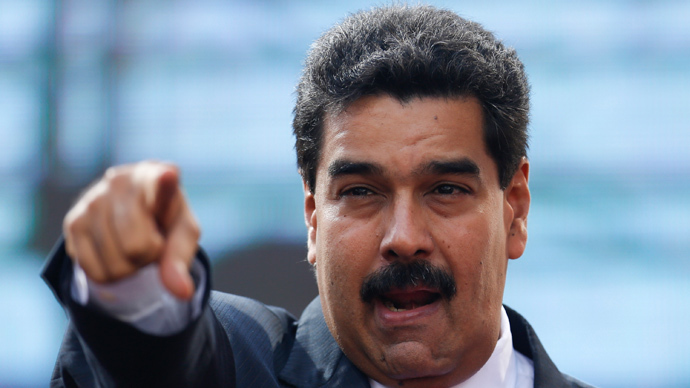 In his initial requests for the legislative powers in August, Maduro stated that he would use them to tackle corruption in Venezuela, and what the fiery statesman has called an “economic war” being waged against his administration. 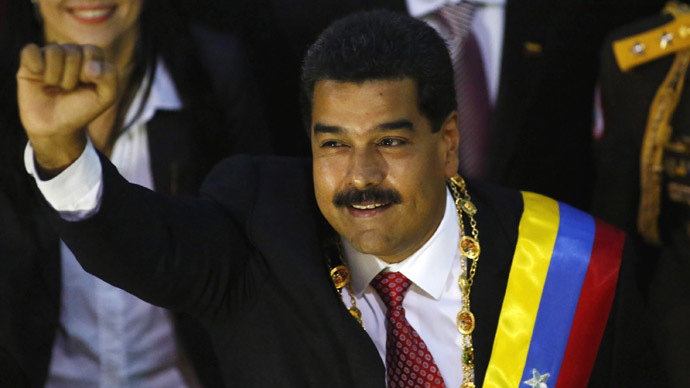 Until this week, Maduro had lacked one vote to achieve the three-fifths majority necessary to pass the Enabling Act. On Tuesday, Maria Aranguren, a member of the opposition, was stripped of her parliamentary immunity due to charges of embezzlement, conspiracy, and money laundering. Aranguren - who is now unable to perform her legislative duties - was replaced by Carlos Flores of the ruling Socialist party, who has backed the law. Critics say that Venezuela’s government has sought the decree powers in order to clamp down on the opposition ahead of elections in December. "The only objective of this enacting is to persecute government critical voices in society, the NGOs and the political parties with different views," opposition member Eduardo Gomez Sigala told EFE news agency. 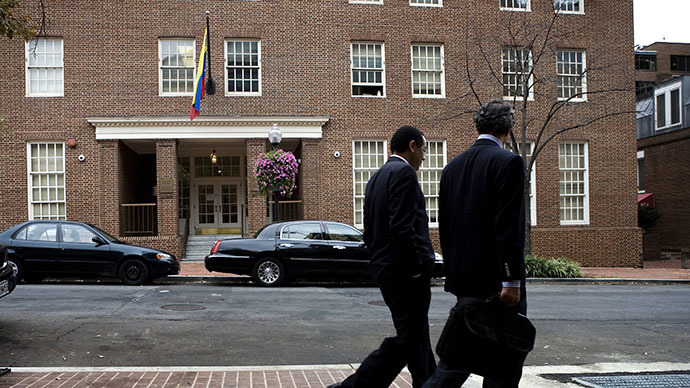 “There is an institutional coup in Venezuela, there is no separation of powers,” Sigala added. Maduro’s predecessor and ideological mentor, President Hugo Chavez, resorted to Enabling Acts four times during his 14 years in power. The new bill allowing for rule by decree must still be reviewed by a special commission and will face a second debate - though after achieving the critical 99 votes needed for ratification, it is almost guaranteed to pass. In tandem with the pursuit of decree powers, Venezuela’s government has announced the arrest of more than 100 businessmen in a self-described crackdown on price-gouging at shops, and the president has declared that his government will seek legislation to limit business profit to between 15 and 30 percent, Reuters reported. "They are barbaric, these capitalist parasites!" Maduro said during his last public address. "We have more than 100 of the bourgeoisie behind bars at the moment." In turn, shop owners have either voluntarily begun to lower their prices or simply closed, rather than running the risk of inviting inspectors. "We've reduced everything by 10 to 15 percent, but it's not fair. I can't make a profit now," the owner of a small electronics store told Reuters. Meanwhile, large crowds have converged on retail stores looking for electronics, appliances, and clothing, in anticipation of price cuts.